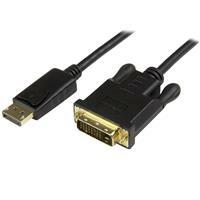 This 3-foot DisplayPort™ to DVI-D adapter cable lets you connect your DisplayPort (DP) equipped Ultrabook™, laptop or desktop computer to a DVI monitor or projector with no additional adapters or cables required. The passive adapter supports video resolutions up to 1920x1200 (WUXGA), perfect for high-resolution applications. 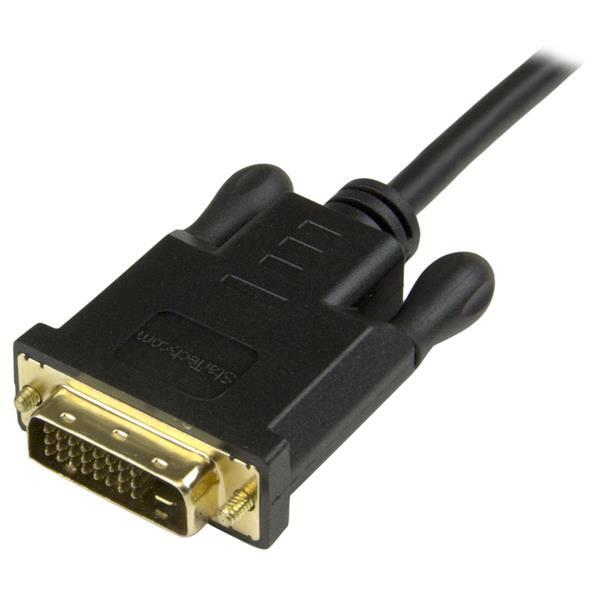 For the simplest and most discreet installation, this DP to DVI-D adapter connects directly from your DisplayPort video source to the DVI port on your display. It doesn't need a power source, unlike some converter dongles that require active power and separate bulky video cabling. With this DP to DVI cable, you can bridge the gap between old and new technologies by converting your existing DVI display to work with your DP video source. Upgrading every component in your A/V setup can be costly and time consuming. This cost-effective adapter lets you save the expense and hassle of buying a new display, by ensuring your existing DVI display will work with your DisplayPort equipment. This 3 ft. adapter cable delivers a compact connection that eliminates excess to ensure a tidy, professional installation. 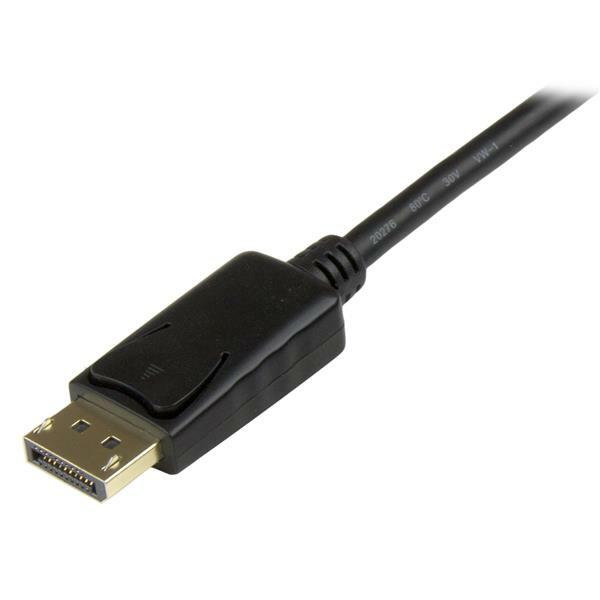 For longer installations, we also offer a 6 ft DP to DVI cable (DP2DVIMM6), enabling you to choose the right cable length for your custom installation needs. The DP2DVI2MM3 is backed by a 3-year StarTech.com warranty and free lifetime technical support. System and Cable Requirements DP++ (DisplayPort++) port is required on video card or video source for DVI and HDMI pass-through.